The Memorial Bell Tower and the state flag of North Carolina stand on the northeast edge of the campus of North Carolina State University in Raleigh, NC. 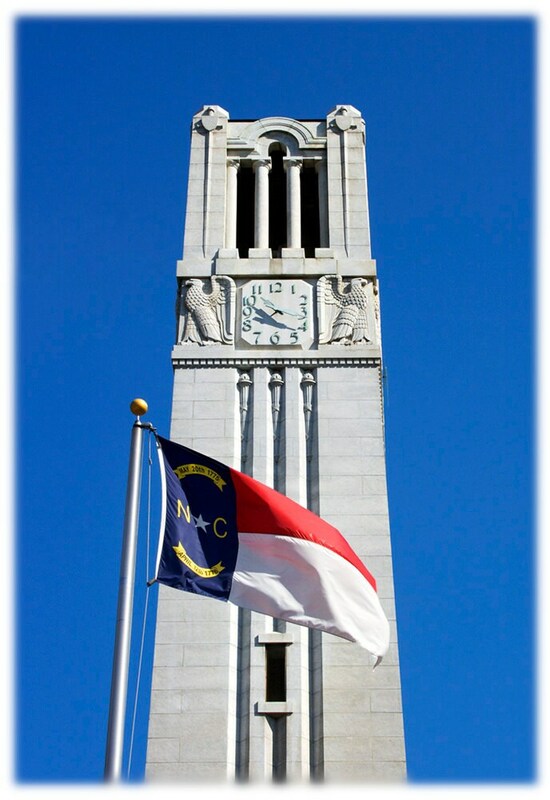 The Bell Tower was created as a monument to NC State alumni who died in World War I. Photography by Jill M. Davis.